Washington, NJ: Clear, plastic screen covers from process equipment manufacturer The Witte Co., Washington, New Jersey (www.witte.com), provide a window for constant, visual monitoring of product in process to quickly detect screen blinding without requiring removal of the cover, machine disassembly or shutting down the operation. 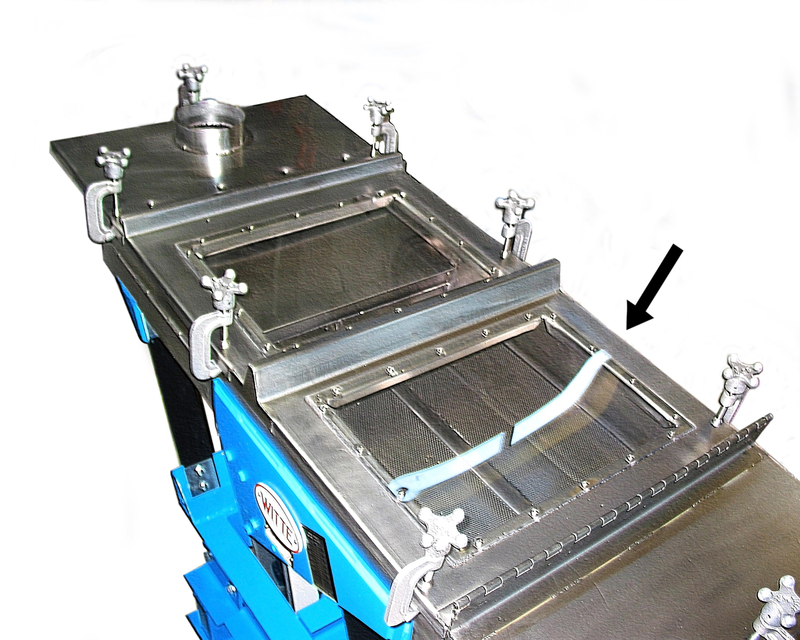 Ideal for use in separating plastic pellets, wood pellets, mineral products, pelletized sludge and other dry, granular products, the clear Witte screen covers feature a hinged design that retracts for easy access to quickly clear any blockages before the process can be disrupted and returns to position without any tools. The clear, plastic screen covers also minimize the release of dust particles into the plant environment for enhanced hygiene and safety while helping to safeguard the product from contamination. Available on the company’s line of vibrating screeners, pellet classifiers, vibratory conveyors and other process equipment, the clear, plastic screen covers are offered as a custom option on new machinery. The screening covers are also available for retrofit on many Witte units in the field.